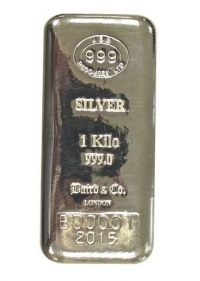 You will find that these good delivery investment cast bars are literally the cheapest way to invest in silver and take advantage of the future price prospects in precious metals / silver. A superior wealth preservation vehicle. 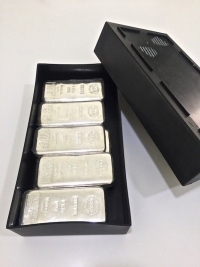 The storage fees and handling charges held in Le Freeport vault are ultimately cheaper than holding paper silver assets issued by the financial markets - Which we do not recommend anyway, please read here. Baird branded bars have been qualified and officially produced certified by JBR refinery which is an LBMA Good Delivery recognised refinery, the delivery of these bars will be directly from their facility. 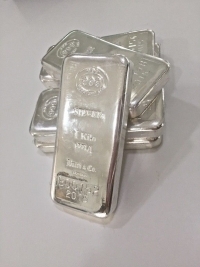 Fine Silver .999% cast bar, each refined bar has been stamped with its own unique serial number and comes securely packaged, bars have also been shrink wrapped in plastic to protect the finish. The Serial numbers on the bars are unique and sequential, held on the database of Baird & Co. London to recognise every bar individually. When you purchase 15 or more bars you can collect them in their own case. See above.